Din l-Art Helwa has announced the winners of its 2014 Architectural Heritage Awards Scheme organized with the support of the Kamra tal-Periti. Now in its tenth edition, the Din l-Art Helwa Awards Scheme is intended to give public recognition toprojects that contribute to architectural excellence in a Maltese context through the rehabilitation and reuse of built heritage and encourage those active in its restoration. The awards were presented by the Minister of Culture and Local Government, Dr Owen Bonnici after being announced by Ms Maria Grazia Cassar, chairperson of the Award Scheme panel of judges. This year there were seven entries across the three different categories encompassed by the Scheme. The first, Category A, is Major Regeneration Project – this category covers projects which have brought about a significant impact in improving the quality of the urban environment. This category is intended for medium to large-scale projects which have influenced in a positive way the urban fabric of an old town or city and have added tangible benefits to the local community. 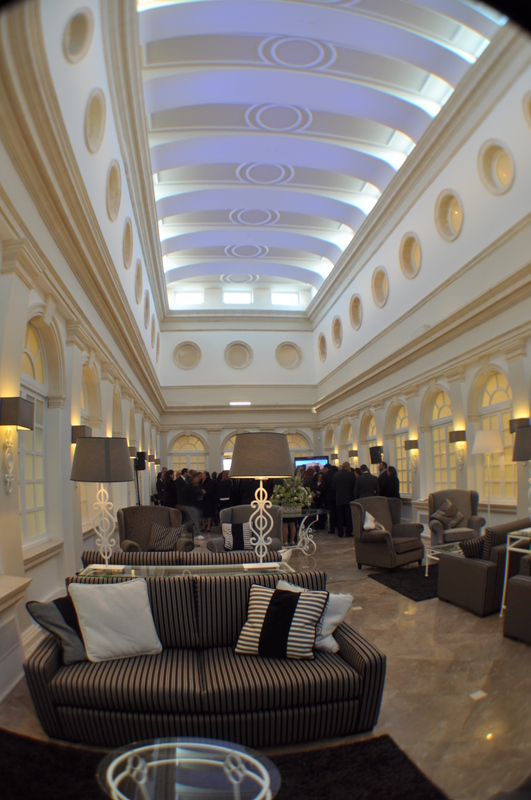 The Prix d’Honneur in this category, was awarded to The Harbour Club, Valletta, by Chris Briffa Architects. The project consisted of the conversion of an eighteenth century warehouse at the pivot point between Ta’ Liesse Hill and Barriera Wharfinto a restaurant and club with open air and indoor facilities. The successful and sensitive conservation and conversion of the three small dilapidated properties spread over three levels, was the fruit of years of negotiations with former tenants and long bureaucratic procedures with the Department of Lands. 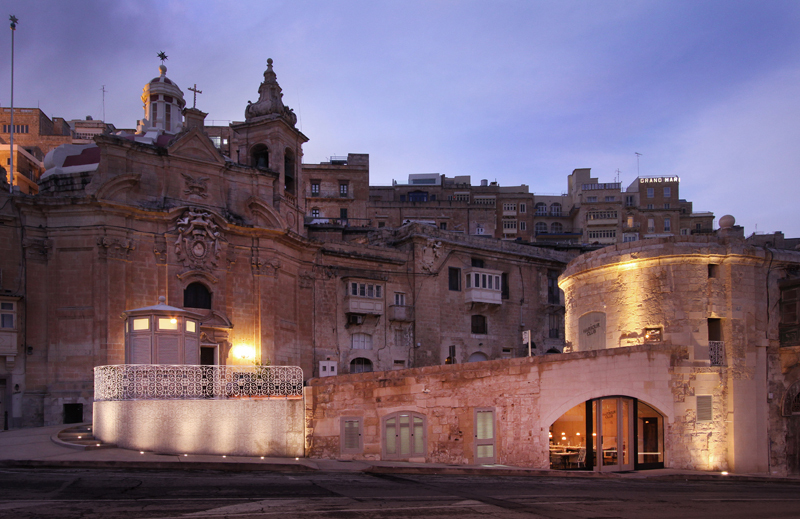 The client’s vision and the architect’s imagination have resulted in a rehabilitated area of The Grand Harbour, which should be an example and instigation to further enhance the potential of this area of Valletta. This project was also awarded the Silver Medal, signifying the best in all categories. In Category B, The Rehabilitation and Re-use of Buildings, – these are projects which have sought to rehabilitate historic buildings and also re-define their uses. Such projects emphasize re-adaptation and re-utilisation to the needs of contemporary society, while respecting the historical memory of that particular building or structure. 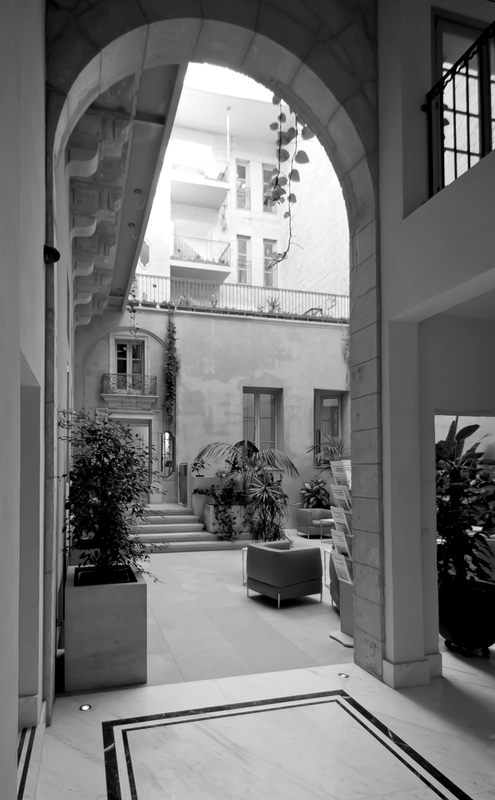 The Prix d’Honneur in this category was awarded to theoffices of Ganado Advocates, by Architecture Project, which involved the rehabilitation and re-use of a dilapidated large palazzo in Valletta into state-of-the-art corporate offices, whilst respecting and enhancing the original fabric of the building. The third entry in this same category was felt to deserve a Diploma, and this was awarded to Dar Kenn Ghal-Sahhtek, by the Community Chest Fund, and designed by J.B. Architects. The rehabilitation and re-use of British Period Military Buildings is to be encouraged, and this project has sensitively and successfully brought out the full potential of the building for a commendable social function. It is also an example of sustainable development, which should be promoted. The third Category C is for a Restoration and Conservation Project. This considers projects which are intended to achieve comprehensive restoration and conservation so far as possible in conformity with their original physical state and carried out on the basis of scientific restoration methodology. The judges, felt that the Ex-RAF Hangar at Luqa by the architecture team Air Stream, went the extra mile in conservation and restoration, and awarded the Prix d’Honneur to it. This involved the conservation of the last remaining original RAF stone aircraft pen, of which about 100 were destroyed after WWII. The roof was actually damaging the stone walls of the pen, and the AFM took the project to heart, commissioning a multi-disciplinary team of engineers, architects and specialists to come up with a holistic project. This resulted in an extremely passionate project, which involved the restoration of the original steel trusses to support the new roof, the conservation of the stone pen, the concrete floor, and the insertion of all services, lighting, fire-extinguishing system, new door, pv panels and natural light sources. The jury felt that this was a truly laudable way to respect all heritage, and hope that functional buildings and industrial heritage will be restored and conserved with the same dedication as was given to this project. Ms Maria Grazia Cassar, chairperson of the panel of judges congratulated all participants on their significant contribution this year to architectural heritage excellence. The panel of judges was made up of Dr. Conrad Thake, architect, lecturer and historian, representing the Kamra Tal-Periti; Dr. Antonio Mollicone, architect and lecturer at the University of Malta, and Joanna Spiteri Staines, architect and Din l-Art Helwa Council Member. This entry was posted in Press Releases, Uncategorized by George. Bookmark the permalink.